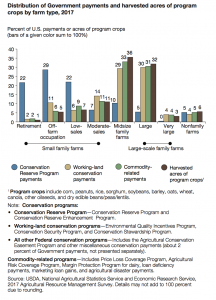 The U.S. Department of Agriculture’s Economic Research Service (ERS) recently released its annual brochure exploring characteristics of America’s farms. Today’s update highlights a few of the key findings from the ERS brochure. 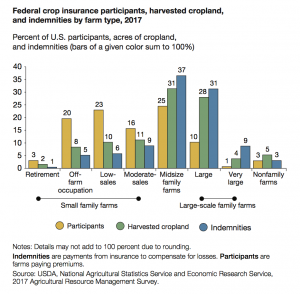 Eighty-nine percent of farms are small, and these farms accounted for 52 percent of the land operated by farms in 2017. 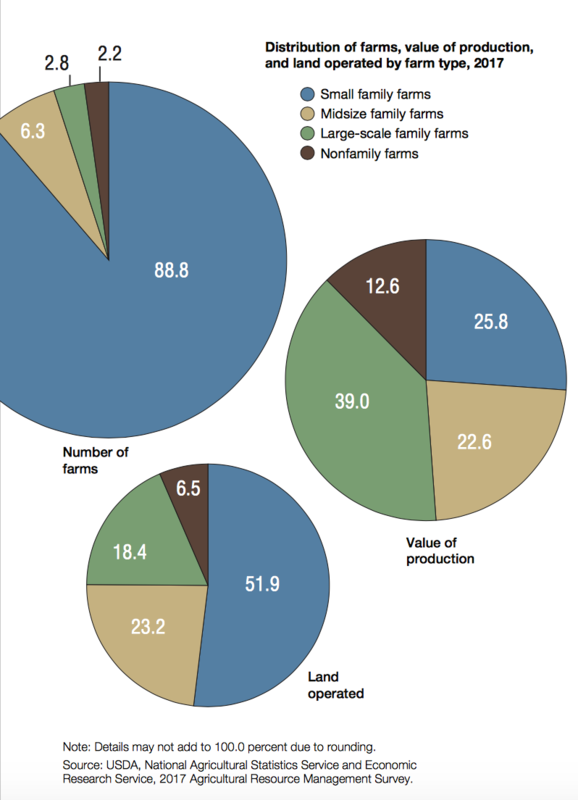 Large-scale family farms accounted for the largest share of production, at 39 percent. 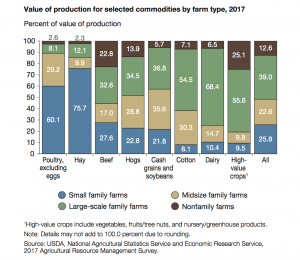 Family farms of various types together accounted for 98 percent of farms and 87 percent of production in 2017. 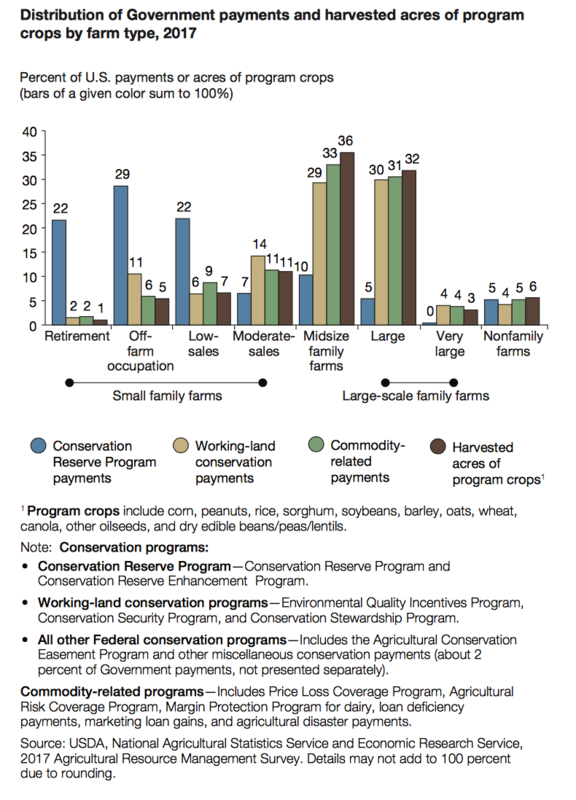 Nonfamily farms accounted for the remaining farms (2 percent) and production (13 percent). 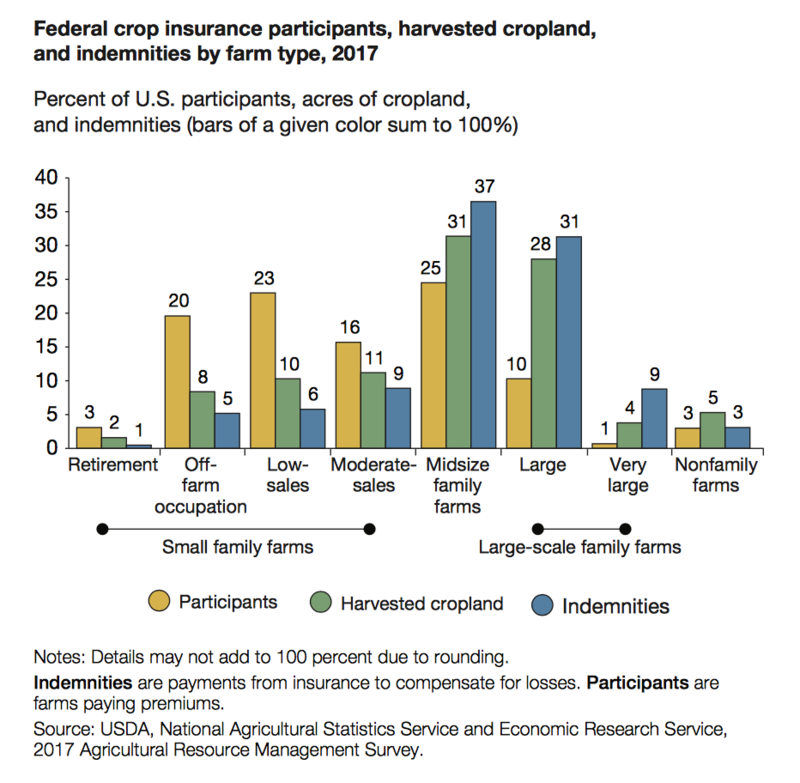 “America’s Diverse Family Farms: 2018 Edition,” by Christopher Burns and James M. MacDonald. Economic Information Bulletin No. (EIB-203). USDA-ERS (December 2018). Large-scale family farms accounted for over two-thirds of dairy production and over half of high-value crops like fruits and vegetables. 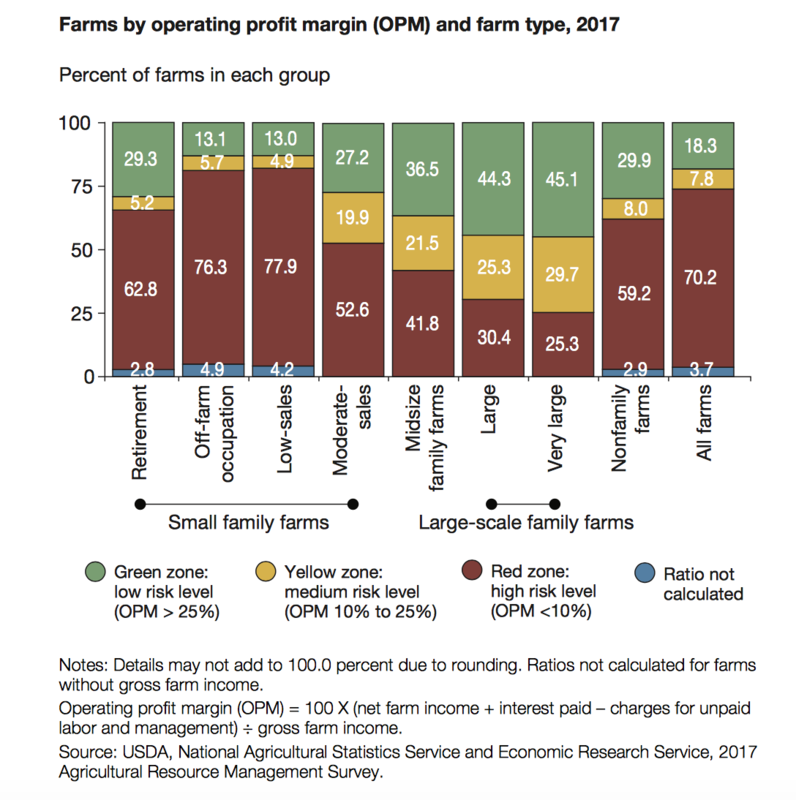 Midsize and large-scale family farms dominate cotton production (85 percent), with large-scale farms contributing over half of production and midsize farms an additional one-third. 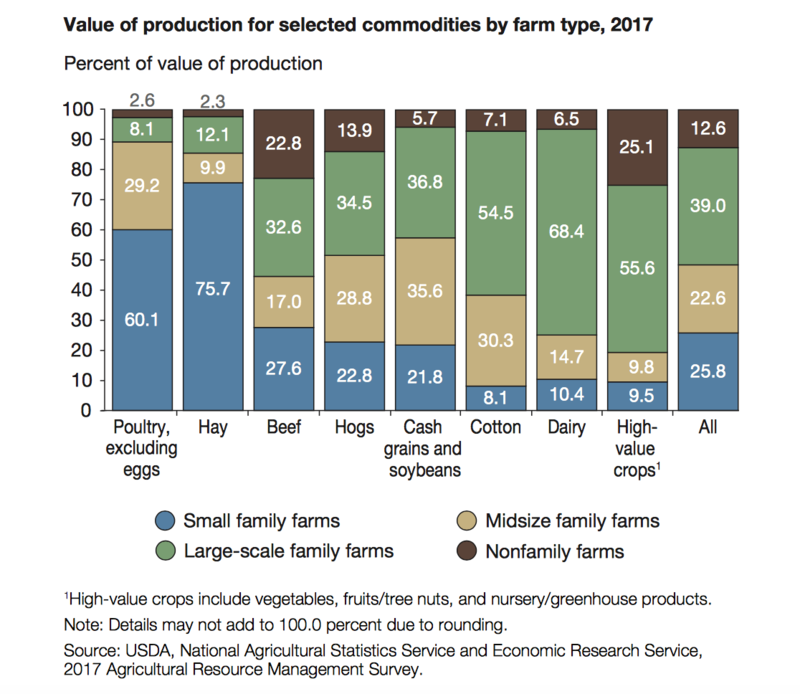 Midsize and large-scale family farms both accounted for over one-third of total cash grain/soybean production (for a combined total of 72 percent). “America’s Diverse Family Farms: 2018 Edition,” by Christopher Burn and James M. MacDonald. Economic Information Bulletin No. (EIB-203). USDA-ERS (December 2018). 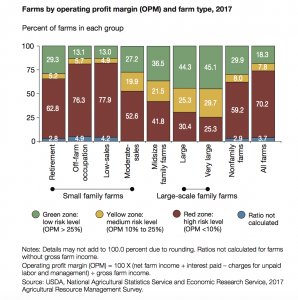 The vast majority of family farms (89 percent) are operated as sole proprietorships owned by a single individual or family, and they account for 59 percent of the value of production.